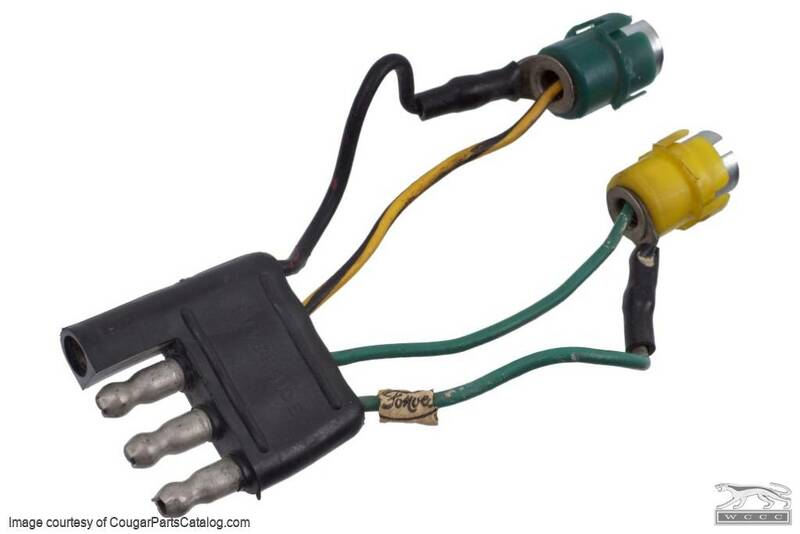 Used 4 pin connector and light socket harness for the 1967-68 Mercury Cougar overhead console harness for parking brake and low fuel indicators. Yellow and green light sockets. 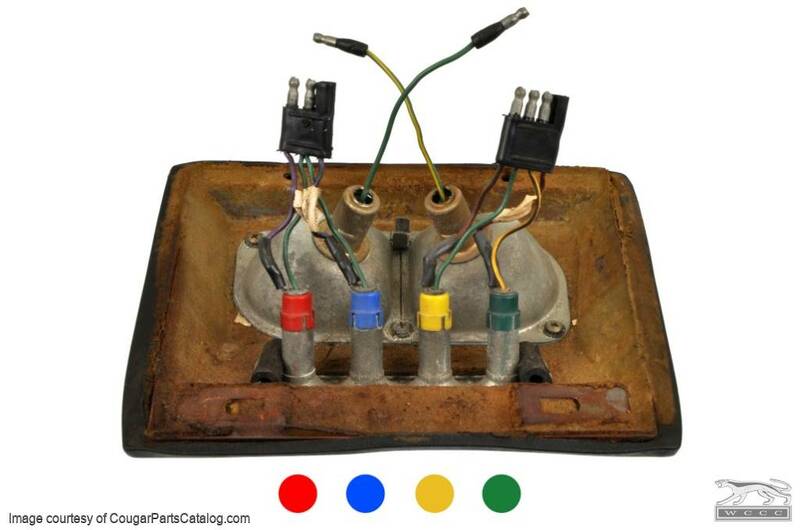 These are the same sockets for the parking brake and low fuel warning lights on the ultra rare Safety Convenience Option offered in 1967-68 on both the Cougar and Mustang. Do you want to replace those worn out actuators yourself or are you looking for some great information on aligning the grille in you Cat? The video below is your ticket!